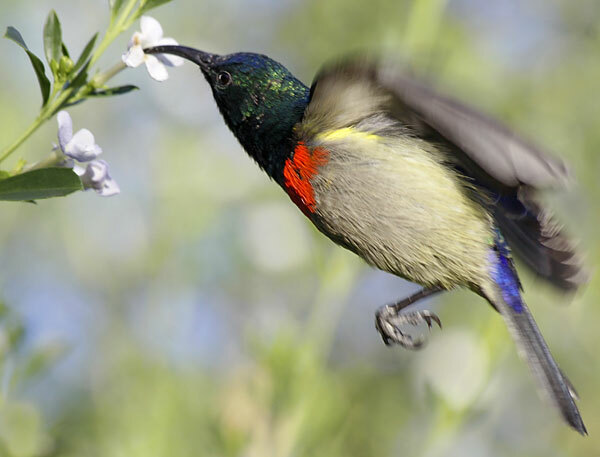 Caption: Southern Double-collared Sunbird hovers while using its long beak to extract nectar from the blossom of a freylinia tropica plant, Curry’s Post, KZN, South Africa. Camera: Canon EOS 50D; Lens: Canon EF 70-300mm f/4-5.6 IS USM; Focal length: 220mm; Shutter speed: 1/320; Aperture: f/8.1; ISO: 400. 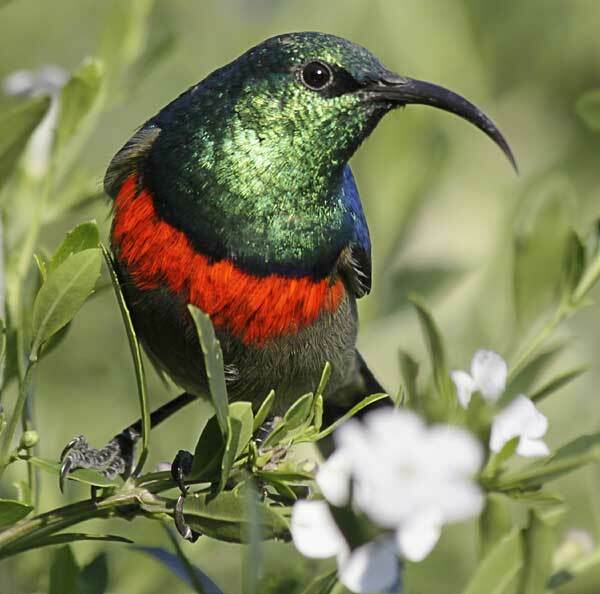 The Southern double-collared sunbird (Nectarinia chalybea), a member of the nectariniidae family, is a small, insect and nectar-eating bird with a down-curved beak adapted to flower probing. The brilliant, iridescent plumage of the male (above and below) is quite spectacular in sunlight as it flits from blossom to blossom, feeding on the nectar. 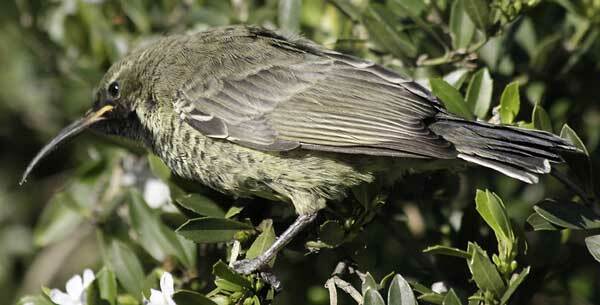 Female Southern double-collared sunbirds, in comparison, are rather drab and definitely come a distant second in the fashion stakes (below).